The next cosplay interview, shared from Cosplay Blog with a Brain, is one with Teca! She’s a cosplayer from Colorado, who has a ton of intricate costumes! My cosplay alias is basically my online alias from elementary school, Teca. My sister used to read me the Dragon Lance books and my favorite was Tika, but I didn’t know how to spell her name, so I took a guess. I’ve been cosplaying for nine years this September. My best friend invited me to the local anime con and suggested we make costumes because that’s what her older sister did at the sci-fi cons. I got totally hooked and never looked back. I’ve really fallen in love with working with high-quality fabrics such as silk and wool. Nothing looks nearly as good or rich. I want to work with more armor-making material like Wonderflex and Styrene. I like detailing that shows the costumer thought about everything; from patterns to material to lining to buttons to shoes. Every little bit should be important and have a meaning. I think that the scene can be a wonderful place and a pretty unforgiving place. It’s all about who your surround yourself with and how you conduct yourself within it. I wish people were more supportive and just have fun with it. Make friends with cosplayers who are more experienced and better than you. They can provide advice, support and perspective. It’s always good to have sempai. First and foremost is KomiKet, but that might be cheating a bit considering it’s in Japan. XD But other than that, I really enjoy Fanime and Anime Banzai. 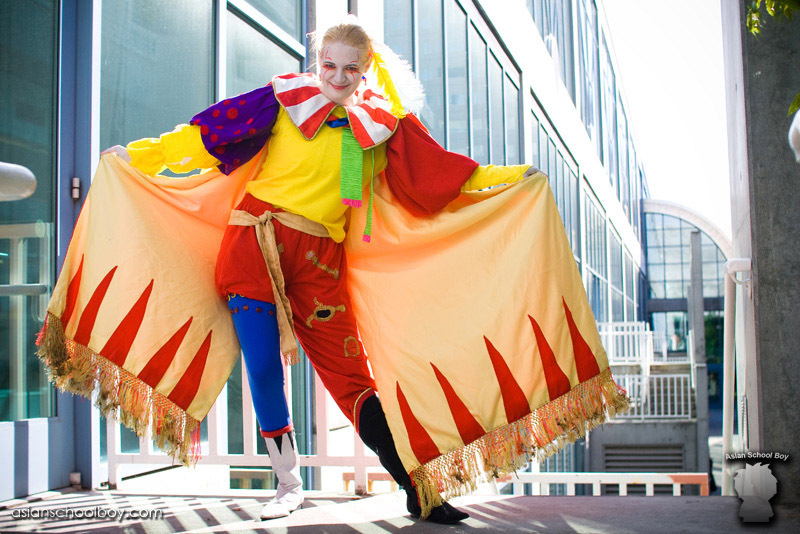 Fanime is a large con with friendly people and a great masquerade. Anime Banzai is a tiny con where I get to meet new people and just have the time to shoot the breeze. Can I give two? 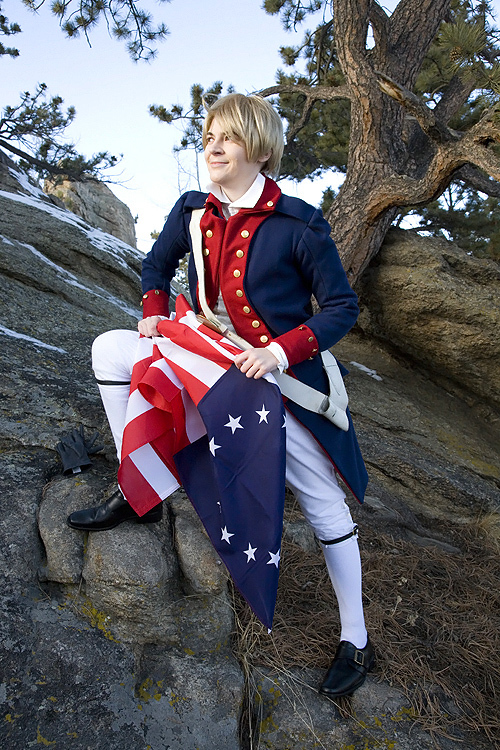 First is that my first historical costume was my Revolutionary America but I always feel the need to point out that my baby Fersen has a thousand hours of hand beading in it. Thanks for the interview, Teca! To see more of Teca’s work, you can visit Teca’s ACP and her personal site, Teca’s Costumes on Engi no Shouzoku! Cosplay Site.